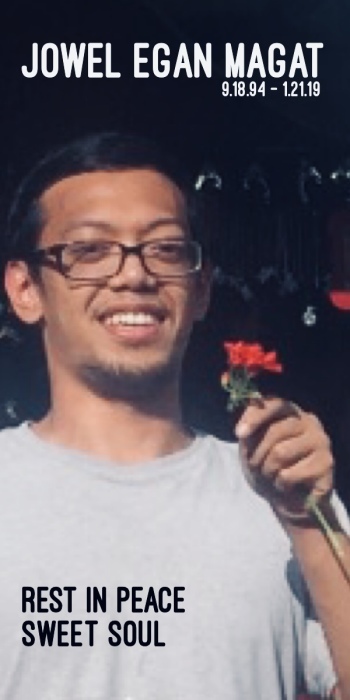 Jowel E. Magat, 24, of Teaneck passed away on January 21, 2019. He worked in the printing industry for 4over, Inc. in Moonachie, NJ. Cherished son of Jose and the late Beatrice Magat. Beloved brother of Joey Magat. Visiting at Riewerts Memorial Home, 187 S Washington Ave., Bergenfield, NJ on Monday, January 28, 2019 from 5-8 PM. Cremation will be private.